Our Medspa's Brow & Lash Tinting & Shaping services help you achieve the look you want. Fuller, darker and more shapely brows that frame your face perfectly. Fuller, longer and luxurious lashes. Our most popular package, The Eyes Have It package, includes a sumptuous eye mask plus a brow and lash tint with brow shaping (waxing or tweezing). Call us today to find out more about our The Eyes Have It package or one of our other great packages at (843) 681-4088. Are your lashes thinning over time? LATISSE® is an FDA-approved treatment to grow eyelashes for people with inadequate or not enough lashes. 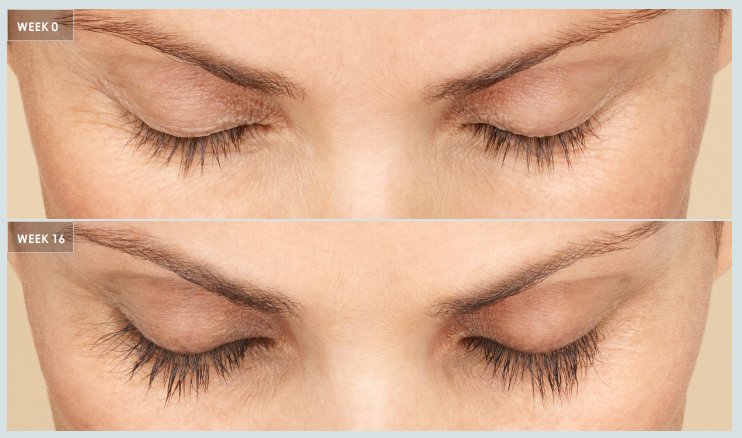 Latisse grows lashes longer, fuller and darker over time. Call (843) 681-4088 to schedule an appointment.